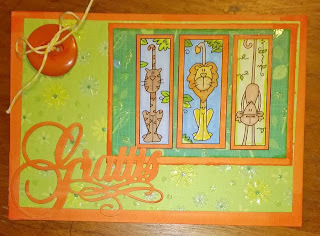 Mina glada djungeldjur som jag färgat med Promarkers och Flexmarkers deltar i följande utmaningar: Catch the Bug (Day 4: Bingo: More than 2 animals - Sentiment - Button), Sweet Stamps (ATG), Passion for Promarker (Flower power - in the DP) och Cute Card Thursday (A bit of Fun). Ihanan reippaat värit ja hauskat kuvat! So cute! Thanks for playing in Bugaboo's Birthday Bash. 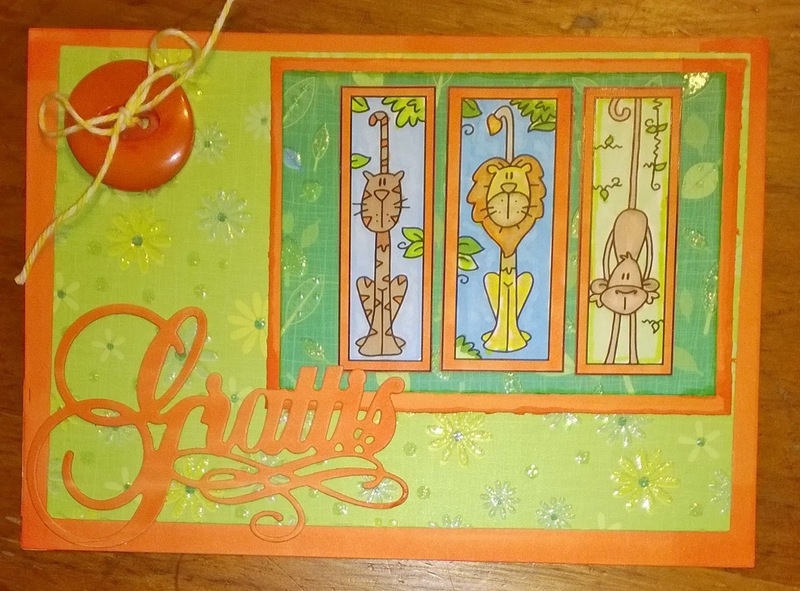 Sweet card, lovely dps, Thanks for joining us over at PFP this week. Thanks for celebrating our 6th Birthday with us at Bugaboo Stamps - we hope you joined us every day to be eligible for one of the BIG prizes! Good luck in the draw!